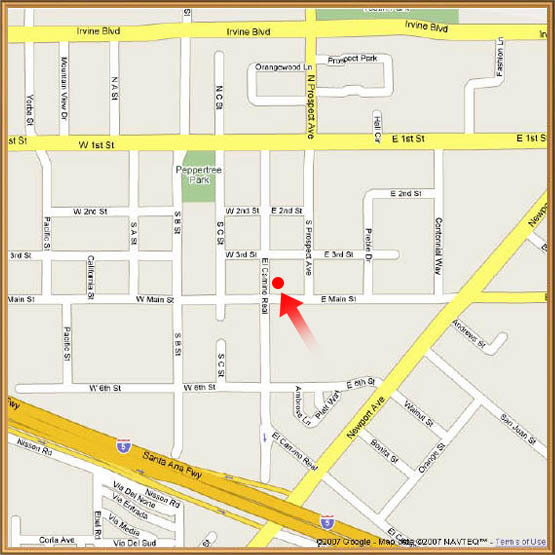 Click here to take an online photo tour through our museum. You'll get a chance to see some of the exhibits and artifacts that illustrate and celebrate our local history.. 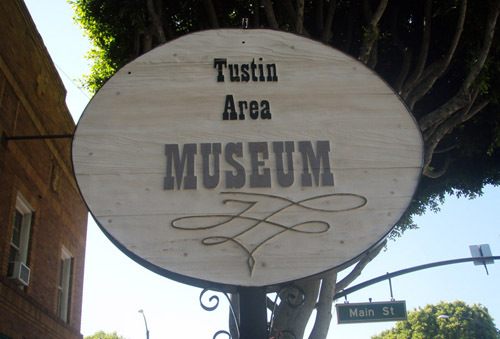 The Tustin Area Museum is located at 395 El Camino Real (just North of Main St.) in historic downtown Tustin. Visitors are always welcome and admission is free. We encourage you to bring your children! We are OPEN every Tuesday & Thursday, 9 a.m. to 2 p.m.
We are also OPEN on the first and third Saturdays of each month, from 12 noon until 3 p.m. Note: There are 29 photos in all. If you'd like, you can use the links below to jump a bit.